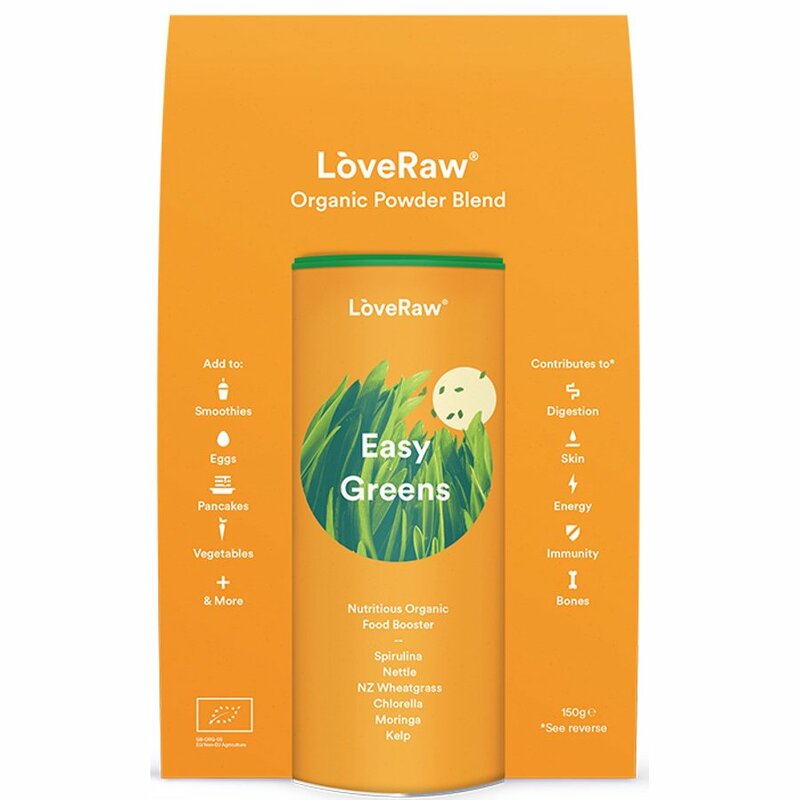 Add the alkaline greens superfood powder blend from Love Raw to smoothies, juices or granola for some of the best quality detoxing supergreens and 100% certified organic raw ingredients. Spirulina is an algae that is often recognised as the most nutritionally rich superfood. It is made up of 65% Protein & amino acids. 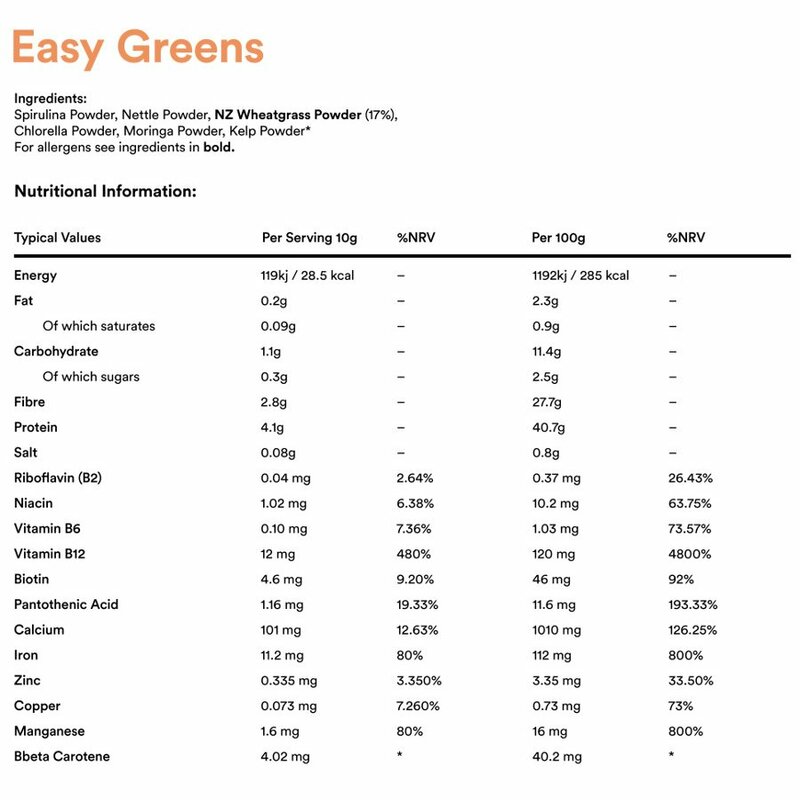 New Zealand Wheatgrass is one of the cleanest sources of wheatgrass in the world and is high in Vitamins A, B-Complex, C, E and K. Chlorella is rich in Vitamin B6 & B12 which are vital to support a healthy immune system. Vitamin B2 encourages strong hair and healthy skin and Chia is crammed full of omega 3 fatty acids. These fats are significant for brain & skin development. Sea Kelp is naturally high in iodine and also provides a wealth of potassium, calcium, magnesium and iron. 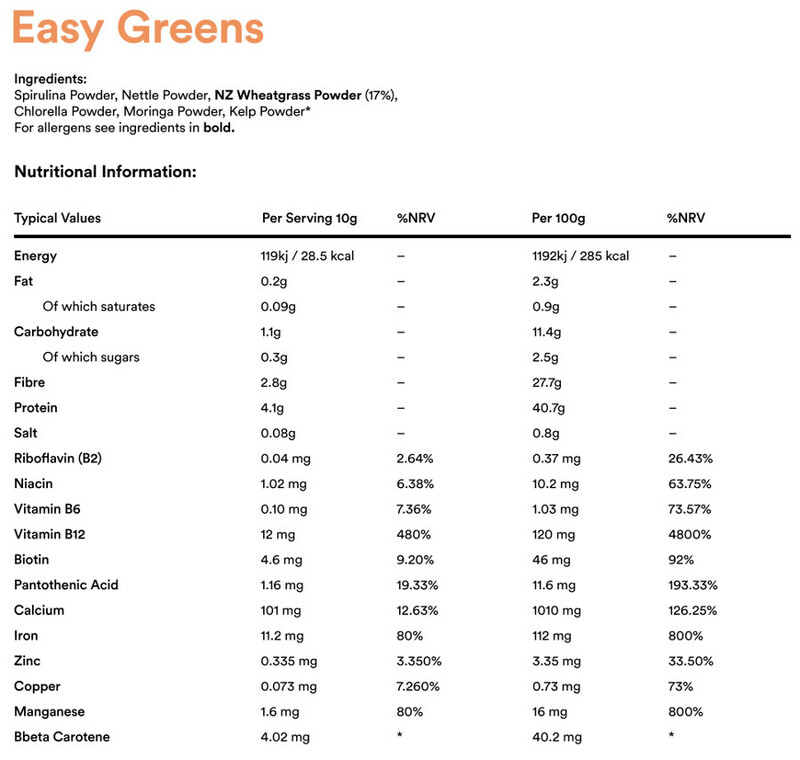 The Love Raw Easy Greens Superfood Powder Blend - 150g product ethics are indicated below. To learn more about these product ethics and to see related products, follow the links below. 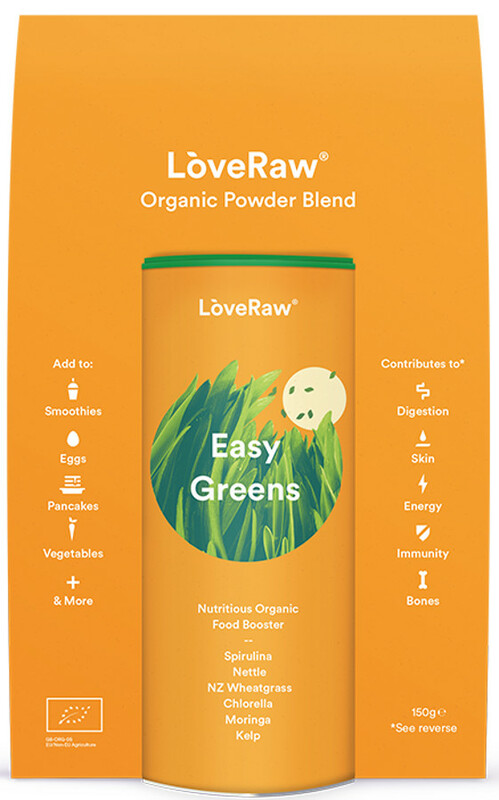 There are currently no questions to display about Love Raw Easy Greens Superfood Powder Blend - 150g.